The Residences at Business Central Tower (RBC Tower) is a 23-storey mixed-use tower located in close proximity to the prestigious platinum square kilometre, right in the centre of Dubai. 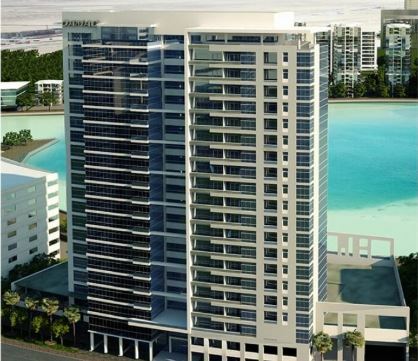 The building occupies a prime waterfront location and offers a mix of one, two and three bedroom apartments. Business Bay is an upscale mixed-use community combining commercial, residential, hospitality, entertainment, shopping and leisure facilities in open green spaces scattered with lakes and fountains. An inspired urban concept, this illustrious part of town is adjacent to the Burj area – home to the world’s tallest tower, its largest shopping mall, iconic fountains and a host of other first-class amenities.